Waste management crisis in India should be approached holistically; while planning for long term solutions, focus on addressing the immediate problems should be maintained. National and local governments should work with their partners to promote source separation, achieve higher percentages of recycling and produce high quality compost from organics. While this is being achieved and recycling is increased, provisions should be made to handle the non-recyclable wastes that are being generated and will continue to be generated in the future. Experts believe India will have more than nine waste-to-energy projects in different cities across India in the next three years, which will help alleviate the situation to a great extent. However, since waste-to-energy projects are designed to replace landfills, they also tend to displace informal settlements on the landfills. Here, governments should welcome discussions with local communities and harbor the informal recycling community by integrating it into the overall waste management system to make sure they do not lose their rights for the rest of the city’s residents. This is important from a utilitarian perspective too, because in case of emergency situations like those in Bengaluru, Kerala, and elsewhere, the informal recycling community might be the only existing tool to mitigate damage due to improper waste management as opposed to infrastructure projects which take more than one year for completion and public awareness programs which take decades to show significant results. 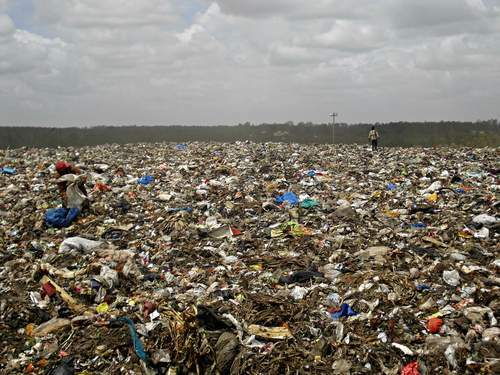 Indian policy makers and municipal officials should utilize this opportunity, created by improper waste management examples across India, to make adjustments to the existing MSW Rules 2000, and design a concrete national policy based on public needs and backed by science. If this chance passes without a strong national framework to improve waste management, the conditions in today’s New Delhi, Bengaluru, Thiruvananthapuram, Kolkata, Mumbai, Chennai, Coimbatore and Srinagar will arise in many more cities as various forcing factors converge. This is what will lead to a solid waste management crisis affecting large populations of urban Indians. The Indian Judiciary proved to be the most effective platform for the public to influence government action. The majority of local and national government activity towards improving municipal solid waste management is the result of direct public action, funneled through High Courts in each state, and the Supreme Court. 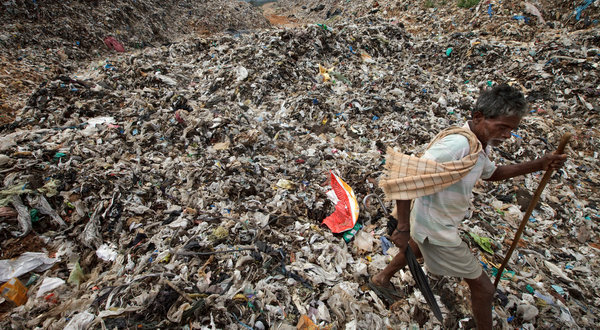 In a recent case (Nov 2012), a slew of PILs led the High Court of Karnataka to threaten to supersede its state capital Bengaluru’s elected municipal council, and its dissolution, if it hinders efforts to improve waste management in the city. In another case in the state of Haryana, two senior officials in its urban development board faced prosecution in its High Court for dumping waste illegally near suburbs. 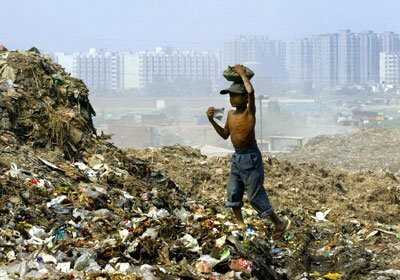 India’s strong and independent judiciary is expected to play an increasing role in waste management in the future, but it cannot bring about the required change without the aid of a comprehensive national policy.